Former Cuban prisoner Alan Gross on his five-year imprisonment in Cuba and President Obama opening relations with Cuba. As President Obama makes his historic trip to Cuba amid normalizing relations with the U.S. and the Caribbean country, Alan Gross, a former U.S. subcontractor who was held prisoner in the country for five years, weighs in on the significance of the visit and the shift already seen in Cuban governmental policies. “I think that exposure of the Cuban people to American leadership is an excellent opportunity and the president is a role model for many people, so I think that the Cuban people will be given the opportunity, or the hope of opportunity, ” Gross told Maria Bartiromo during an interview on the FOX Business Network’s Mornings with Maria. Gross discussed how the U.S. opening relations with Cuba has already had an impact on Cuba’s governmental policies. “Since the president issued an executive order in his first term easing restrictions on remittances, a lot more money has flowed into the private sector of Cuba. And the government of Cuba has responded by easing some restrictions on the private sector on two occasions, and so today we have a scenario where 11 percent of the Cuban workforce is in the private sector, so they are no longer dependent on the government of Cuba for their livelihood. Isn’t that what we want?” Gross said. Gross also described being held prisoner on the island for five years. “It wasn’t a very happy five years for me in Cuba. It was terrible being separated from my family and losing freedom is something that is an incredible experience, not being able to go outside, not having the freedom to do anything,” he said. 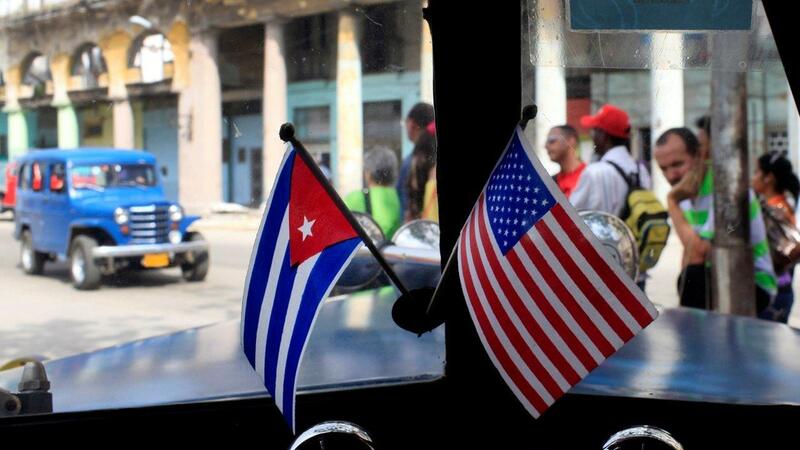 U.S. on the losing end of relations with Cuba? Gross then weighed in on what has changed in Cuba. “The internet is now legal for Cubanos, it was legalized in June of 2013. The cost of internet access, even if the service is not really a great service, went from $6 an hour to $4.50 an hour, now it’s $2 an hour. The government of Cuba has now been opening up internet centers around the island and creating WiFi hotspots for those with smartphones to use and I think that is an incredible development,” Gross noted. The former detainee also expanded on why he considers internet access so important to the Cuban economy and its people. Obama's Cuba deal all about his legacy? Gross also believes the U.S. can learn from the changes in Cuba. “Eleven percent of the workforce in Cuba is in the private sector now, which means that the government of Cuba is starting to get out of the way so the private sector can flourish. I think that our government needs to do the same thing and lift the embargo,” Gross concluded.